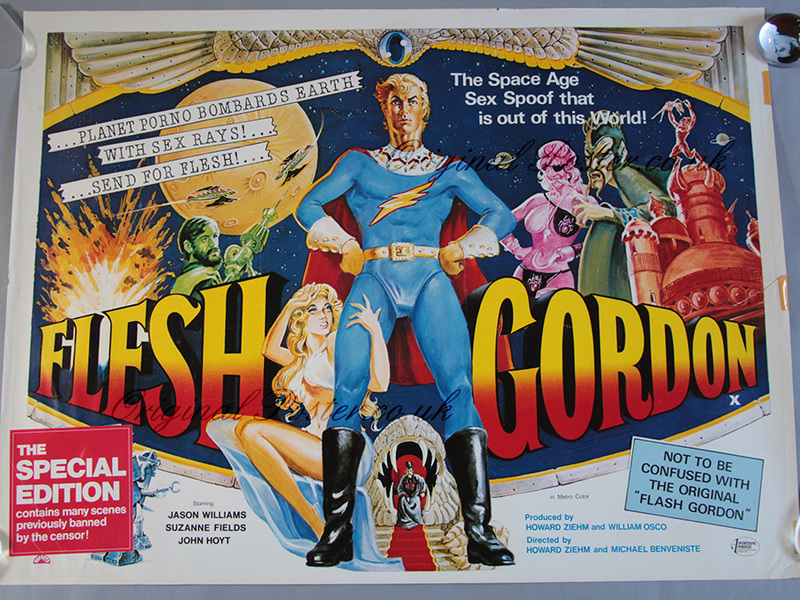 Details Rolled condition Special edition Flesh Gordon film poster with retro space age artwork in full colour by Sam Peffer. Please note this poster has a repaired 3 inch border tear top the right of "Gordon" in the title and old tape marks in the border as seen. This poster displays well and once framed would be a funny talking point in the Man-cave!